When it comes to simple Northern Indian fare, I just love tucking into some Tandoori Chicken with some plain (or garlic) naan and dhal. 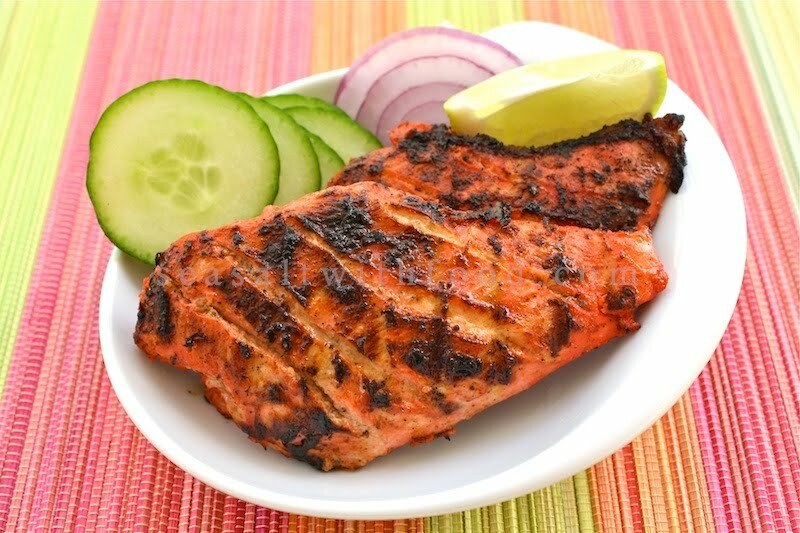 As I did not have a Tandoori oven, I grilled these Tandoori Chicken using some nice portions of boneless chicken breast recently. The outcome was fantastic. Do revisit the naan and dhal recipes which were posted previously to complete this meal. So, for my Butter Chicken dish which I planned to cook, I had to quickly set aside some of the chicken tandoori before it all disappeared. :-) No surprises here, my next post tomorrow will be the Indian Butter Chicken recipe. Do come back to check it out! 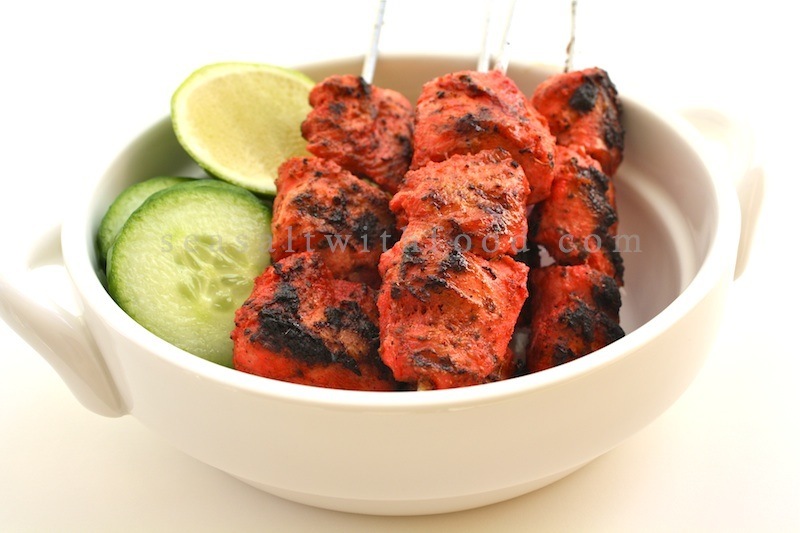 Prepare the chicken: Cut the chicken into cubes or make few deep incisions into the flesh on the chicken breast. Marinade the chicken with lime juice, chili powder, and sea salt. Set aside for 1 hour. In a small bowl, combine all the ingredients for the second marinade. Rub the marinade into the chicken and set aside for at least 3 hours. Prepare the grill for direct cooking over medium heat. Fix the chicken on to a skewer. Grill the chicken with a lid closed and baste with the vegetable oil, turning once or twice until the meat is fully cooked, about 10 to 13 minutes. Serve warm with the onion and some lime wedges. That looks wonderful! I love Indian food and have been wanting to cook more of it. thx for sharing! Whoa! I'm half Indian and this looks awesome! You should come over and teach me. Lol. Just recently discovered your blog. Your food recipes and pics look awesome. I can't wait to try this recipe. BTW, did you use the red food coloring on your chicken? I am not familiar with it....where do you purchase this?